Aurora NanoDevices Inc. supplies high quality, calibration systems for atomic force microscopy imaging. Founded in 2001, our systems are now found in hundreds of scanning probe microscopes through North American, Europe, and Japan. 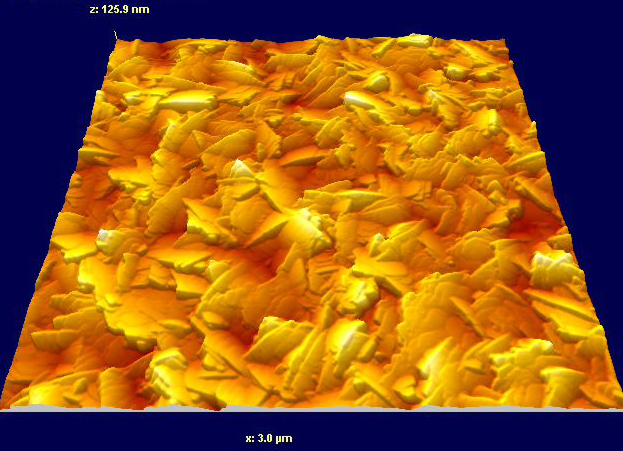 AFM scan of a Tipcheck calibration surface showing the sharp, randomly-oriented peaks which provide the optimal surface for characterising AFM tip geometry. Image provided by Image Metrology Inc.